Helping Sleep Apnea sufferers in Toronto find a mask that they can comfortably sleep in, is one of the biggest challenges we face. Most people find the thought of sleeping with a mask, intolerable. Others are just not comfortable sleeping with a mask on their face. Irrespective of the issues that you may face during the initial stages of therapy, you should be using the mask every single day. It helps you sleep better and also helps you avoid the multitude of problems that may arise due to sleep apnea. Here are some of the problems that you may face commonly and their solutions to help you with your CPAP Therapy. If you feel claustrophobic thinking about wearing a mask that may cover your nose and your mouth and part of your face, then you are not alone. Claustrophobia is one of the commonest problems CPAP users face initially. Thankfully, there are some solutions for the problem. Nasal Pillows: Nasal Pillows have a minimalistic design making them ideal for claustrophobic users. The air is blown directly into the nostrils and the mask rests on the upper lips. It feels a lot more comfortable than having a mask that covers the entire face if you are claustrophobic. Acclimatization: Try different types of masks without using the head strap or chin strap. Once you find a mask that you are comfortable with, acclimatize yourself to the air pressure first. Wear it around the house: Try wearing the mask without the machine as you do your chores around the house. Yes. It can happen due to multiple reasons. Here are some possible solutions. Power Disturbances: In most cases, power disturbances can cause your CPAP machines to switch off at night. Check if other appliances have also switched off. Operation: Read the instruction manual carefully to see if you may have accidentally switched off the device yourself. 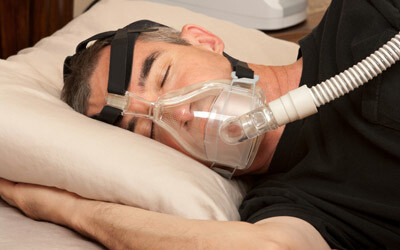 Filter: Many CPAP machines have a filter which may get blocked occasionally. Check if this is the case. If yes, replace the filer. Using CPAP machines can cause dryness of the nasal cavity and congestion in the nose, throat and mouth. This happens because the airflow that these machines generate is greater than what the body is accustomed to. Humidifier: Most CPAP machines these days have built-in humidifier settings which can be altered until you find the perfect setting for your breathing. Check for air leaks: You may want to check your mask for air leaks as it can also cause dry nose. Chinstraps: Some people unknowingly sleep with their mouth open which can cause dry throat. You may want to consider using chinstraps as it will help you to keep your mouth closed during sleep. Nasal Saline Sprays: If you have tried the above mentioned methods and still experience dryness then you can try using Nasal Saline sprays right before you go to bed. Antihistamines: Antihistamines or nasal decongestants can also help alleviate the problem. If you are one of the many in Toronto who suffer from sleep apnea, do not let these common problems stop you from getting treatment. There are solutions!